Two words come to mind with this Planets In Our Solar System - Dorm Poster, far out. During college, your dreams should be as large as our solar system. This cool space dorm poster captures the vastness of space while educating at the same time. 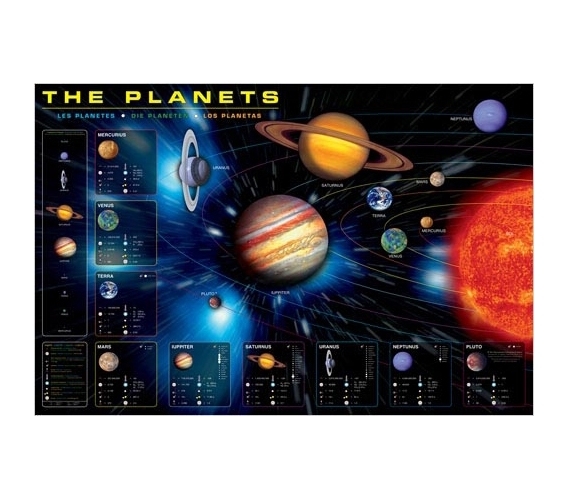 Important facts are included about each planet and its orbit. Dorm room decor is always in need at college. With this refreshing poster, you can combine a fashionable wall decoration with something you can actually use. These colorful planets will match your dorm room decor very easily, making this a seamless addition to your college dorm. Being able to name all the planets in our solar system will instantly make you look smarter at college and who wouldn't want that?